Microdermabrasion – 45ml/ 1.5 fl oz. 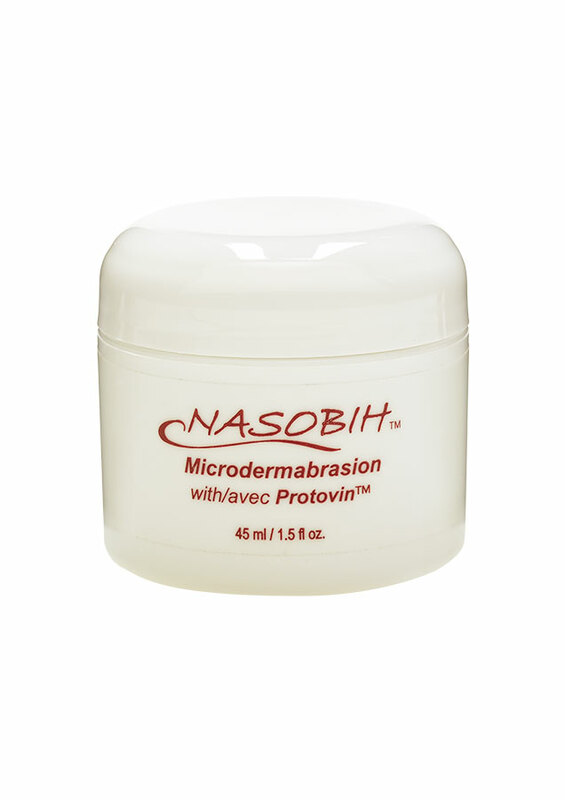 $39.95 | Nasobih | Nasobih Naturals Ltd.
Use once or twice weekly as a facial exfoliant to remove deade skin cells and expose new healthy cells for a youthful glow. Wet face and apply a small amount of microdermabrasion then rub face gently in a circular motion. Our corundrum crystals are specially designed to polish and not scratch the skin like some other products. Rinse face thoroughly than apply Nasobih™ Nutra-Cream for best results.